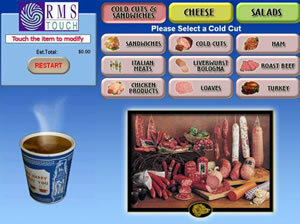 RMS-Kiosk™ is the most powerful deli kiosk solution for busy supermarkets. How does RMS-Kiosk work? Customers walk up to the RMS-Kiosk system, place their order,continue shopping, and pick up their order when they have finished shopping. the deli counter, which is also available for digital signage. 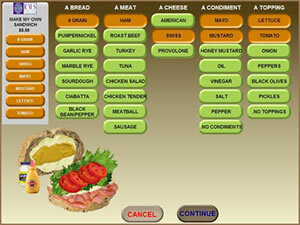 Who needs the RMS-Kiosk Deli Ordering System? where kiosks or other self service technology products are offered. selected YES, when we suggested extra meat on their sandwich for an extra dollar.